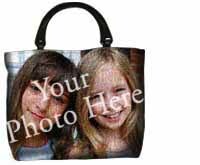 Custom woven photo bag - Purse or Tote - great gift for anyone! PURSE: approx 17" x 13" Our Jacquard Woven Cotton purses are are woven of durable fabric. 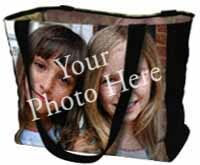 Each purse has the image repeated on the flip side. The purses are lined in black duck fabric and have a black plastic handle. TOTE: approx 17" x 17" Full color woven tote bag with black strapping. Tote is fully lined, Jacquard woven. ECO TOTE: approx 16" x 14"
This is the gift that will be cherished for a lifetime. The perfect way to keep memories close. 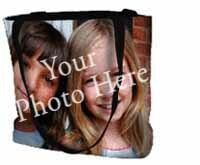 Order matching or coordinating photo throw, pillow or wall hanging!